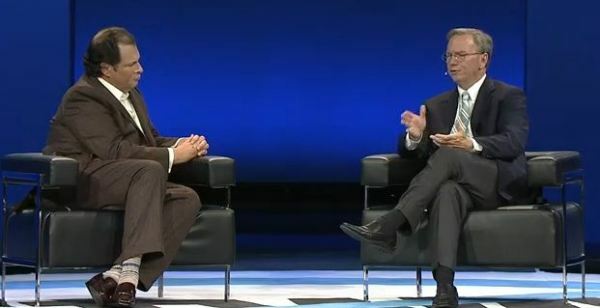 Eric Schmidt was addressing the crowd at Le Web in Paris and recounted a tale when an Android user asked why apps were often written for iOS first, and then ported over to Google's OS. His response? "My prediction is that six months from now, you'll say the opposite." After the uncomfortable silence had died down, he added that Android's "open" model meant the company had volume on its side -- and volume is what he feels will attract developers. He added that Ice Cream Sandwich would redress Android's device fragmentation and the sheer number of hardware makers would ensure that 2012 would be Google's year.